A multicenter research team determined the incidence and type of fatal toxic effects associated with immune checkpoint inhibitors. [Journal of Gastrointestinal Oncology] A review of diagnostic parameters and management modalities for checkpoint inhibitor-induced hepatic toxicity is presented. Using a mouse model of HER2+ breast cancer, researchers tested the efficiency of combined epigenetic modulation and checkpoint inhibition using the histone deacetylase inhibitor ENT and antibodies for 2 checkpoint inhibitor proteins. These findings were presented at the 2017 SABCS. As the use of checkpoint inhibitors increases in many types of cancer, oncology nurses need to learn to recognize the signs and symptoms of pneumonitis, a rare but life-threatening adverse effect of these agents. 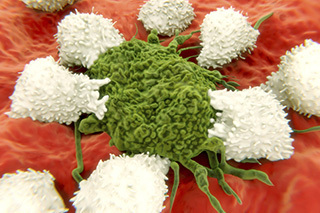 Studies presented in the last year demonstrated a revolutionary role for immune checkpoint inhibitors in the treatment of urothelial carcinoma. 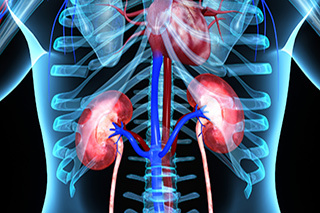 Patients with advanced kidney cancer received broad-spectrum antibiotics less than a month before initiating immune checkpoint inhibitor therapy. 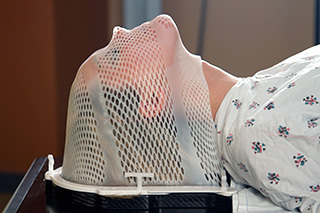 A healthy immune system may be the key to effective radiation therapy for cancer patients. Research in mouse models has identified molecules that can bind to cancer cells and induce apoptosis.